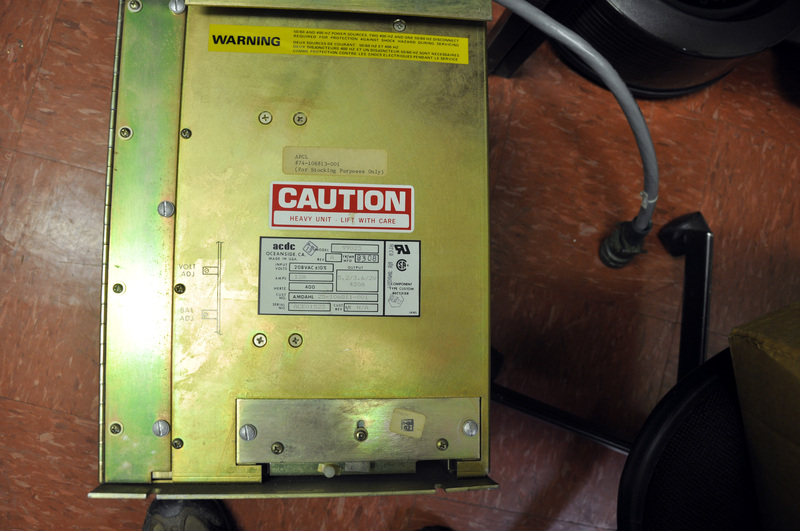 One of the six power supplies supplying the Amdahl CPU with DC electricity. It weighs 49.6Kg. I have not opened it to look inside but it must contain a beefy transformer. The output was from thick cables bolted to the two big lugs on the top. The input was 208VAC at 12AMPS, 400Hz. 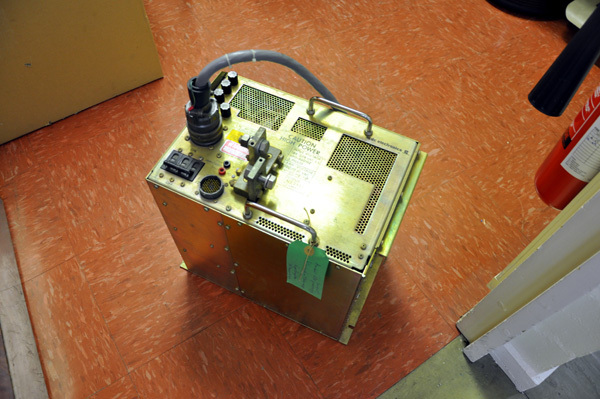 It came from a Rotary Convertor which was a large 3 phase electric motor powered by mains electricity, 240V 50Hz 3 phase, that turned an axle on which was mounted a generator creating the 3 phase 400Hz supply. This arrangement filtered out all blips and glitches in the mains supply to the Rotary Convertor. It could even provide power through a sub-second blackout by the rotary inertia of the machine. The output was 5.2/3.6/2v DC at 420AMP. It must have been just one of these voltages because there is only one output.